-100/125/150s (or appropriate distance for ability) on a moderate to tight interval (make it harder over time). -Swim 21 cycles then streamline kick the remaining distance. -If you make the distance 3x in 21 cycles or less= BLACKJACK- your done with the set. This encourages kids to lengthen their strokes so that they kick less and get more rest at the end of the repeat. The tight interval keeps them from exaggerating their stroke too much and maintain some moderate tempo. *we do allow the kids to “cheat” by doing more underwater dolphins off the walls (kills two birds with on stone). 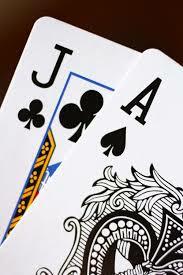 Once someone gets Blackjack, they move up in distance x25. Swimmers are assigned the appropriate send-off, color & stroke. Athletes are intermixed based on ability. We had 2x lanes of each interval. The A interval was mostly the Long Event swimmers. Typical rest ranges were- Long Events- goal of :20 rest or less, Mid-range- goal of :15 to :30 rest, Short- :20 to :40 rest. We did this tonight and it was fantastic & intense, with athletes hitting their paces. This is how we tend to break sets up for specific training.